I'm Signing Up for the Series! 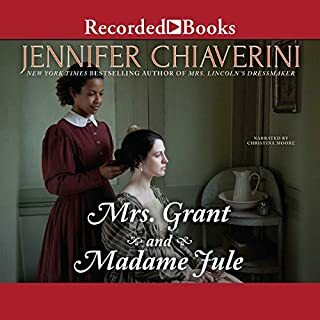 New York Times best-selling author Jennifer Chiaverini delights fans by transforming true events into riveting historical fiction. 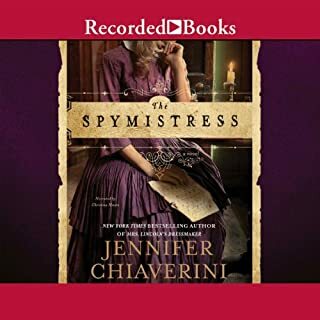 Set during the Civil War, The Spymistress introduces little-known Elizabeth Van Lew, a Virginia woman who used a vast spy network to steal Confederate secrets for the Union. But her next mission would prove the ultimate test of her mettle: infiltrate the infamous Confederate Libby Prison and orchestrate a daring escape. Great Civil War era book! The only legitimate child of Lord Byron, the most brilliant, revered, and scandalous of the Romantic poets, Ada was destined for fame long before her birth. Estranged from Ada's father, who was infamously "mad, bad, and dangerous to know", Ada's mathematician mother is determined to save her only child from her perilous Byron heritage. Banishing fairy tales and make-believe from the nursery, Ada's mother provides her daughter with a rigorous education grounded in mathematics and science. 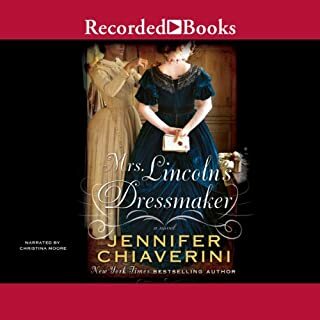 In Mrs. Lincoln’s Dressmaker, novelist Jennifer Chiaverini presents a stunning account of the friendship that blossomed between Mary Todd Lincoln and her seamstress, Elizabeth 'Lizzie' Keckley, a former slave who gained her professional reputation in Washington, D.C. by outfitting the city’s elite. Keckley made history by sewing for First Lady Mary Todd Lincoln within the White House, a trusted witness to many private moments between the President and his wife, two of the most compelling figures in American history. In 1860 the Henry Wadsworth Longfellow family celebrated Christmas at Craigie House, their home in Cambridge, Massachusetts. The publication of Longfellow's classic Revolutionary War poem, "Paul Revere's Ride", was less than a month hence, and the country's grave political unrest weighed heavily on his mind. Yet with his beloved wife, Fanny, and their five adored children at his side, the delights of the season prevailed. In 1844, Missouri belle Julia Dent met dazzling horseman Lieutenant Ulysses S Grant. Four years passed before their parents permitted them to wed, and the groom's abolitionist family refused to attend the ceremony. Since childhood, Julia owned as a slave another Julia, known as Jule. Jule guarded her mistress' closely held twin secrets: She had perilously poor vision but was gifted with prophetic sight. So it was that Jule became Julia's eyes to the world. It is 1911, and Jean is about to join the mass strike at the Singer factory. For her, nothing will be the same again. Decades later, Connie sews coded moments of her life into a notebook, as her mother did before her. More than 100 years after his grandmother's sewing machine was made, Fred unpicks the secrets of four generations, one stitch at a time. Kate Chase Sprague was born in 1840 in Cincinnati, Ohio, the second daughter to the second wife of a devout but ambitious lawyer. Her father, Salmon P. Chase, rose to prominence in the antebellum years and was appointed secretary of the treasury in Abraham Lincoln' s cabinet, while aspiring to even greater heights. Beautiful, intelligent, regal, and entrancing, young Kate Chase stepped into the role of establishing her thrice-widowed father in Washington society and as a future presidential candidate. Location: north of the Arctic Circle, Population: 150 (mostly men!) But the three O'Halloran brothers, who run a bush-plane charter service called Midnight Sons, are heading a campaign to bring women to town. Sawyer O'Halloran, the middle brother, isn't entirely in favor of this scheme. But he considers himself immune to any woman - even the lovely Abbey Sutherland. She's arriving in Alaska within days. However, there's a complication...or two. She hasn't told them she's arriving with kids! In Fates and Traitors: A Novel of John Wilkes Booth, New York Times best-selling author Jennifer Chiaverini renders for the first time as fiction the compelling interplay between these pivotal actors - some willing, others unwitting - who made an indelible mark on the history of our nation. Between the world wars, no sport was more popular, or more dangerous, than airplane racing. Thousands of fans flocked to multi-day events, and cities vied with one another to host them. The pilots themselves were hailed as dashing heroes who cheerfully stared death in the face. Fly Girls recounts how a cadre of women banded together to break the original glass ceiling: the entrenched prejudice that conspired to keep them out of the sky. Jennifer Chiaverini's New York Times best-selling Elm Creek Quilt novels, with their irresistible blend of storytelling magic and quilting lore, have captured the hearts of countless fans. 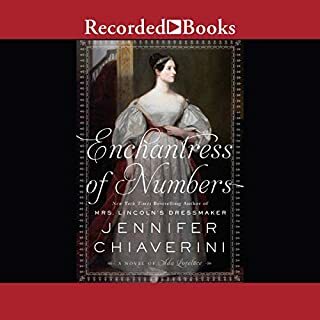 In this moving novel about morality, freedom, and the power of human courage, Chiaverini whisks listeners back to antebellum America. 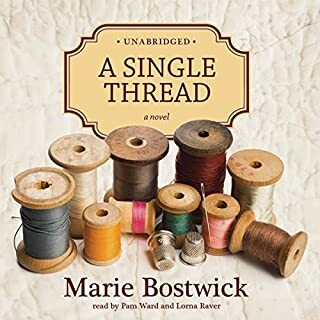 As the nation moves toward civil war, one resident of Creek's Crossing, Pennsylvania, has her life irrevocably changed. Dorothea Granger is asked by her uncle, shortly before his violent death, to stitch an unusual quilt. When she learns that the quilt contains hidden clues for the Underground Railroad, Dorothea makes a brave decision. She will put her own life at risk to continue the work that cost her uncle his life. The Dallas Morning News hails the Elm Creek Quilt books as "classics of their kind", and this stirring historical yarn is another satisfying entry in the series. I enjoyed this story very much. 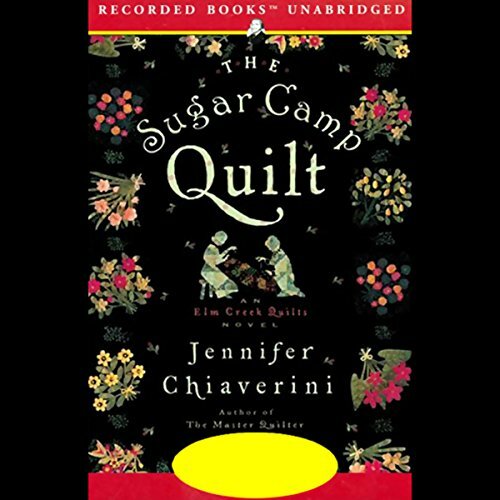 This was the first Jennifer Chiaverini Quilt book that I've ever listened to or read, and probably will not be my last. The characters were well formed, the plot moved along nicely, and I learned a lot about life as an abolitionist. The only problem I have with this fine tale is that the author blatantly copys or borrows the entire love story directly from Jane Austen's Pride and Prejudice, my favorite novel of all time. I understand all about allusion, and this was not an example of that at all. In The Bridget Jones Diaries, Helen Fielding playfully references Pride and Prejudice several times, but always in an obvious and tongue in cheek way. Alluding to a great work of literature in this manner is great. 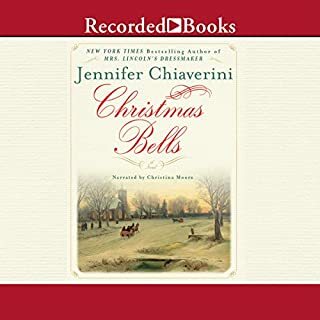 Jennifer Chiaverini, however, has her characters, Dorothea Granger and Thomas Nielson speaking lines practically verbatim that Mr. Darcy and Elizabeth Bennett said years ago. I didn't like this at all. Surely a capable author such as this could have created a more clever and less cliched romantic element to this otherwise enjoyable story. I agree with the previous reviewer - the author must have read Pride and Prejudice one time too many and couldn't get it out of her mind. From the very first introduction of the "Mr. Darcy" character and his comments at the dance, I saw it coming. Instead of creating any tender feeling for a developing relationship, the dialogue that was blatantly Austen made me laugh and made me mad! I DID enjoy the remainder of the book, about the events of the time and the clever use of the quilt. I just wish she had started with an original - or at least significantly altered - premise for the interaction of the characters. Historically accurate fiction with a very interesting storyline. The villains were worth hating and the heroes and heroines could be admired. This is the second one in this series that I have listened to and it won't be my last. This was a good example of a little research for the civil war era. It gave a good peek at how life really was. How people lived and the difference in political persuasions. I enjoyed this book on audio. The reader was very entertaining with voice changes and kept the story moving nicly. Great story telling ability by author. Enjoyable listening from a very good narrerator. Only buy this book if it is on sale. I think the author is a fan of Jane Austin and Mr. Darcy. I foresaw almost everything that was going to happen and then waited for the story to catch up. The book was on sale for $5.00. At this price it was a good value for the money. I really enjoyed this book it is one that I would listen to again. I quilt myself or will be starting to quilt again after a 10 year hiatus and will be joining the local quilters guild soon. I could really relate to this book. I immersed myself in the book and listened it as I was falling asleep do I intend to listen to the part that I missed while I slept. I read this series on my Kindle and now I have started listening to it from Audible. Every book is wonderfully written. The historical stories are educational as well and being interesting and enjoyable. The current day stories are touching and enjoyable.